The Fox Hill property in Camden is being eyed as a treatment center by a Massachusetts hospital. 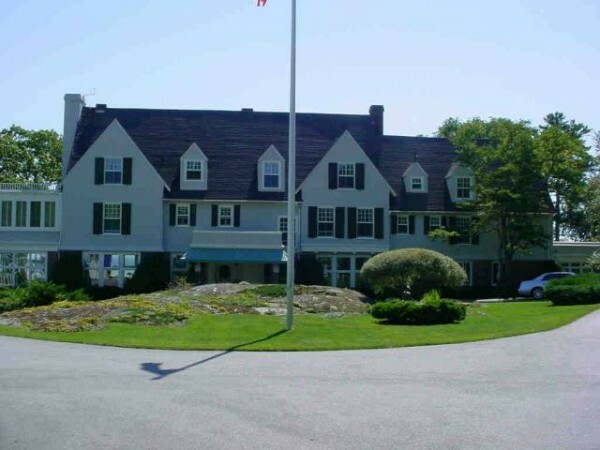 CAMDEN, Maine — The next step in the long and controversial path to allowing a high-end alcohol rehabilitation center to locate in a residential neighborhood of Camden has been set. The Camden Select Board has scheduled a public hearing — to consider the zoning amendment that would allow the Fox Hill facility to operate — for 6:30 p.m. Tuesday, Feb. 4, at the Camden Opera House. The issue comes before the Select Board after the Camden Planning Board’s Jan. 2 vote to recommend that the Select Board consider the zoning amendment. The planning board held several hearings on the proposal which at times attracted as many as 100 residents who debated the benefits and downside to the zoning amendment. The Select Board will decide whether to place the question before voters at a referendum. Zoning amendments in Camden must go before voters if they are to become law. Fox Hill Real Estate LLC filed a request with the town in July for an amendment to the town’s zoning ordinance to allow the Fox Hill property at 235 Bay View St. to be used for the clinic. Fox Hill would lease the property to MacLean Hospital, the largest psychiatric affiliate of Harvard Medical School. MacLean would then operate a 12-bed inpatient alcohol rehab center where patients would spend a month in treatment. Supporters say the proposal is simply to allow a rehabilitation center to be what is known as a special exception in the coastal residential zone. The town’s zoning law already allows golf courses, day care centers and nursery schools in this neighborhood. Supporters say allowing the treatment center to locate on the Fox Hill property would boost the economy. Opponents say the proposal is a spot zoning change that would degrade residential areas in the community. Correction: A previous version of this story incorrectly listed a nursing school as being allowed in the district. Nursery schools are allowed in the coastal residential district as a special exception.